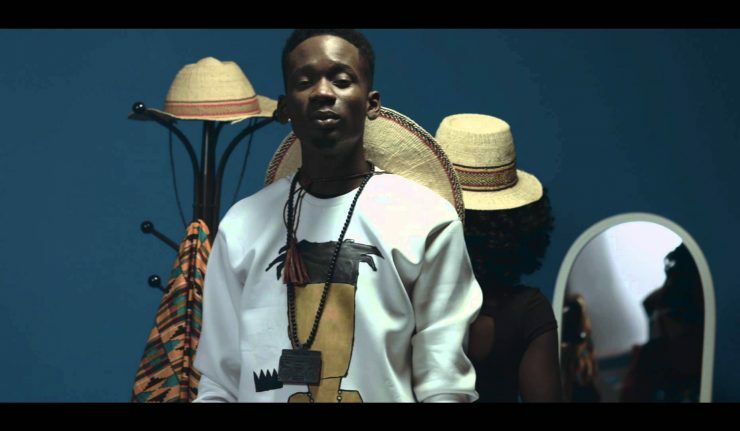 Home GIST BETAGIST: Blue Entertainment Apologizes To Mr Eazi "What Was Said Was Unnecessary And Ugly"
BETAGIST: Blue Entertainment Apologizes To Mr Eazi "What Was Said Was Unnecessary And Ugly"
Following the shade video made by upcoming act BLU for fast rising act, Mr Eazi that was leaked online, the former’s label and management, Blu Record Label, Highpulse Entertainment, have released a statement, apologizing for the leak and what was said on the video. This morning, we received the news regarding our artiste, BLU who throws shade on Mr. Eazi. It’s quite unfortunate that the Video got uploaded on our official YouTube channel and published on social media without proper authorisations. We have conducted investigations and found out what went wrong which we wouldn’t want to bother anybody with the details, rather we wish to apologize for what has happened, because it is our fault and we take full responsibility. We regret the happening, BLU is a wonderful artist who is highly talented. The story behind this is that, BLU made a Cover of Runtown’s Mad Over You just like Mr. Eazi did. It was a success and the download was good so he has always celebrated it just like any fast rising artist would, but we try as much as we can to curtail the feelings. A little out of our site and it happened. Our apologies to Mr. Eazi, his management and his fans for what was said on the video, it’s unnecessary and ugly. And to our own fans, we are sorry things like this got out to the media. We will make up for this, BLU will make up for this.